There are a number of factors to consider when weighing early inheritance as an option. Let’s say we’re talking about transfer of your Florida home. The reason we’ve heard most commonly cited for sharing or transferring the deed of a Florida residence to children or grandchildren before death is that heirs are then spared cumbersome estate taxes and potentially draining probate litigation. Perhaps, the homeowner thinks, they can safely bypass Florida estate planning altogether with this option. However, early inheritances really should be avoided least until you’ve discussed it at-length privately with your own estate planning attorney. Get a second opinion if you still aren’t convinced. Because while savings for an heir could prove worth it, the elderly benefactor may be taking a major risk. Sometimes, even the most loyal, honest heirs can end up making a mess of things, even unintentionally. Plus, transfers of large assets made before death can come under intense scrutiny just like those that occur at the time of death, landing the estate in probate anyway, incurring costs that might just as easily have been avoided. One of the most popular pre-death transfers is known as a “Lady Bird” deed. Sometimes called enhanced life estate deeds (it is one type), it’s a relatively new deed option recognized only in a few states. Although allowed, it’s not outlined clearly in Florida statutes. 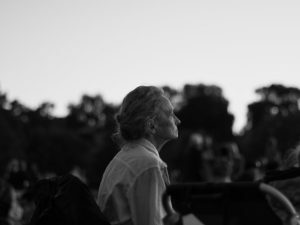 Your Fort Lauderdale probate or estate planning attorney can explain though that a Lady Bird deed allows the current owner retained control of the property until his or her death (including reservation of right to go back on the agreement). Then upon death, the property automatically transfers to the new owner without probate. It also allows retention of your homestead exemption and can ultimately save on taxes and legal fees, sometimes accomplishing generally the same effect as a living trust, but at a lower cost. Sounds great, right? In some cases, they can be – especially as a form of asset protection if you need to apply for Medicaid. Just know upfront, though, that they are sometimes successfully challenged under provisions of Florida’s descent of homestead provision, F.S. 732.401, where the original owner has a surviving spouse. In that case, the spouse inherits the life estate in the property and lineal descendants receive a portion of the remaining interest. Other times, Lady Bird deeds run aground when title companies refuse insure them because they’re written for the benefit one adult child to the exclusion of others, risking the odds the deed will be challenged and deemed invalid. Special language is required, and you will absolutely want to have it reviewed by an estate lawyer to ensure it’s both in your best interest and valid. Tenancy-in-common is a type of ownership wherein two people share joint interest in a real estate property. A joint tenancy with right of survivorship results in the joint survivor obtaining 100 percent of the asset upon the other’s death. A lot of aging Florida homeowners have done this, but not always with the best outcomes. Fort Lauderdale probate attorneys can explain there are two big problems with this plan. The first is if one of the owners has any kind of debt that results in a lien against their interest in that property, the creditor can force the sale of the entire property to satisfy that lien – even if the debt-free owner wasn’t responsible. Let’s say you arrange this with your adult son, and it goes fine for years, but then he’s in a crash or is sued for some type of malpractice and doesn’t have insurance. Or he falls behind on federal student loans. You could both lose the house. This is an early inheritance risk to your financial future when you can least afford it. Not only is your son deprived of an inheritance, you lose your home (with the creditor then becoming the new “tenant in common”). Another risk is a joint owner can transfer his or her interest without approval from the other, but can also stand in the way of a potentially good sale by refusing to transfer their share. A Fort Lauderdale probate attorney may be able to help you negotiate a resolution in that case, but it’s always better if these contingencies are planned for in advance.